Have you ever been in a season of your marriage when you honestly don’t know how to pray? It usually happens when you realize what you want to happen may not be the best, but you don’t know an alternative either. It can be a real dilemma, leaving many not praying at all. Jesus gives us the help we need in knowing how best to pray in such seasons. 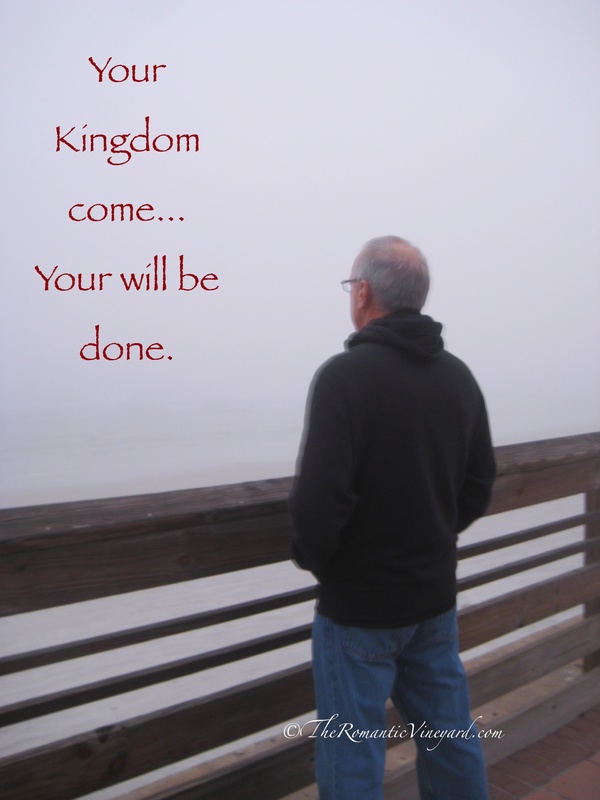 I heard one of our pastors teach on this once, and he said asking for God’s kingdom to come means we are actually praying for Christ to come to rule and reign over us in this specific situation. This one Truth has helped me so many times when I haven’t known what to pray. This past year has been full of opportunities for us to pray in this way. How about you? Are you facing a situation in your marriage that has left you baffled? Is your spouse making decisions with which you’re not fully on board? Are your children making choices that leave you heart-broken and sad? Know that God is very much aware of your need/lack. He alone can guide you into His will for your life and marriage. This entry was posted in Christian Marriage, Difficulty, Growing Strong Marriages, The Gospel & Marriage and tagged Christ, English Standard Version, God, Isaiah, Jesu, Lord, marriage, Prayer, The Lord's Prayer. Bookmark the permalink. Good thoughts and encouraging words, thanks. This is a very good encouragement, Debi. Thanks for your faithfulness. Fantastic post and very timely for me. To expand on it, what I’ve been praying is, as you said, “Your will be done” – I see what God has spoken in the Word as His will – let no one separate what God has joined together; the husband and wife should fulfil their marital duties to each other; not to deprive each other except for an agreed time.